This Deep Conditioning Henna Shampoo- Vegan friendly - Curly Hair Shampoo Bar cleanses and restores natural oils and life to your curly hair. Rich antioxidants conditions and hydrates hair for a smooth result. Enjoy the Benefits from Organic Henna, Organic Aloe Vera and Rich French Green Clay. This Shampoo bar can be used for all Hair types, but I especially made this bar for the extra conditioning properties for curly dry hair. Porosity is your hair’s ability to absorb and retain moisture, oils, or chemicals like color. Low, medium, and high are different degrees of porosity. Due to damaging habits such as mechanical manipulation and color treatment, many with curly hair deal with high porosity hair. Henna is a natural deep conditioner that coats the hair shaft, seals in moisture and natural oils, tightens the cuticle, enhances body, adds loads of shine and makes hair silky soft. Since henna coats the hair shaft and tightens and closes the cuticle, hair is smoother, there is less tangling, hair is stronger and more resilient, and light is better reflected which creates a vibrant shine. Henna helps soften highly textured, coarse curly hair and its natural antifungal and antibacterial properties may help with dandruff, scaly scalp and excess shedding. Coconut Oil is a great option for penetrating the hair shaft and sealing in moisture. It comes from the flesh of mature coconuts and has a multitude of health benefits for skin and hair. Great for reducing frizz and fighting . Coconut oil is one of the first oils someone with damaged hair should try. Shea butter is a all-natural plant based butter. It is very nutritious since it contains lot of vitamins like A,E,K and F. Shea butter is rich in fatty acids (that’s vitamin F) that makes it a super duper sealant. Avocados are high in vitamins B and E, which work at the cellular level to protect and strengthen hair. Vitamin B is essential for hair growth. Vitamin E helps repair damage on the scalp, which may slow or prevent hair growing. Healthy hair grows half an inch every month. Using avocado in a conditioner or as a hair mask are the best ways to promote regular hair growth. French Green Clay, Also known as sea clay, French green clay contains a variety of healing elements, including magnesium, calcium, and potassium, among others. 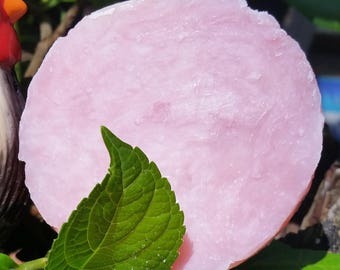 It is often used in spa treatments, including facials and body masks, because it is great for removing dead skin cells. The clay can also be used to cleanse oily hair types—it will draw dirt, oils, and toxins from the hair. 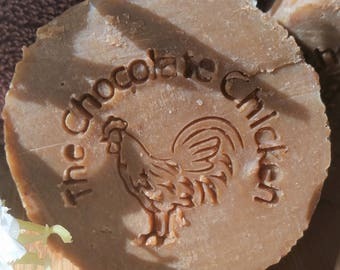 To create this shampoo bar, The Chocolate Chicken uses natural ingredients. 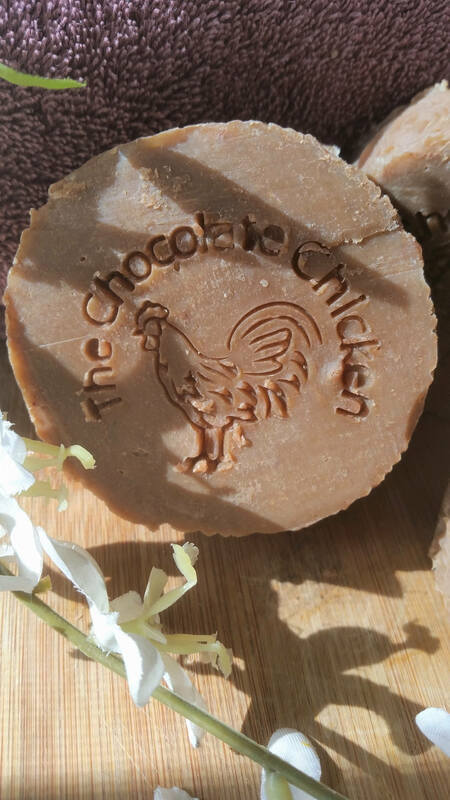 Each bar of shampoo bar is made with saponified oils ( Organic Coconut oil, Sustainable Palm, Castor Oil, Organic Sunflower Oil, Organic Shea butter, Canola Oil, Organic Avocado, Essential oils and fragrance) Henna Powder, Aloe Vera Powder and French Green Clay. 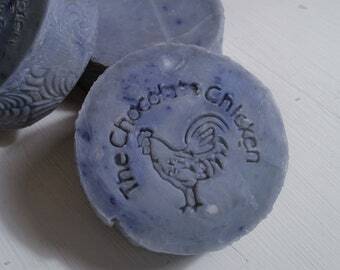 All of our shampoo bars are handmade in small batches and are paraben silicone, sulfate free. 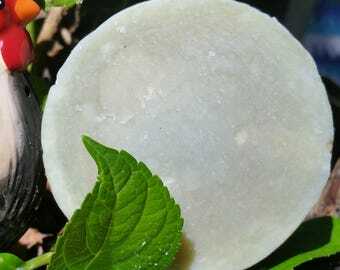 Our henna shampoo bars are not as strong as a pure henna treatment. We have had a number of people with dyed hair use our henna bars without any problems. Due to the nature of our product and to ensure the quality of our products, We ONLY ship on MONDAYS, TUESDAYS, and WEDNESDAYS. I had noticed that shampoos with henna work best with my hair so far. While this doesn't get rid of my dandruff completely, it does help with my itching without so much build up. My waves come through very nice too! I really enjoy my shampoo bars! Nice to travel with and super easy to use. Arrived in a reasonable time! I have thick, coarse, wavy/curly hair and this worked so well with it!